Waikato based entertainer, Joy Adams is one of New Zealand’s best known Country Recording Artists. Blessed with a natural flair for singing, song writing and comedy, she regularly entertains at Clubs, Festivals and Showcases around N.Z. Australia and further afield. 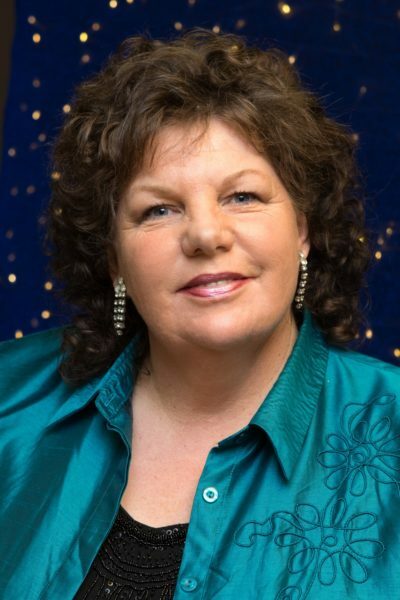 Over the years she has won many awards for singing and song writing including the coveted titles of NZ Country Music Association Songwriter of the Year in 1990 and 2008 National Female Country Artist of the Year. Joy has released a total of eighteen albums since 1992 – most of which feature a great mix of classic country, easy listening, comedy and some of her award winning original songs. 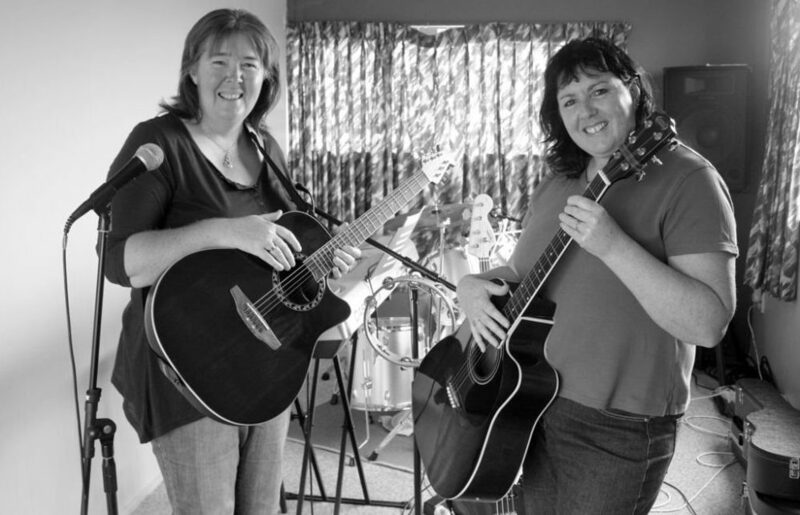 “Twinset” is Barbara & Anne, sisters who grew up in the South Waikato, attending South Waikato Country Music Club and learning musicianship and stage-craft under the guidance of the late Jack Riggir (father of Patsy). They developed harmonies as teenagers, formed groups and duos for awards and various shows. They eventually became backing vocalists for several awards shows including Entertainer of the Year when they were held at the Founders theatre Hamilton. They have backed many wonderful entertainers including Patsy Riggir, Susan Raye, the late Graeme McCardle and Noel Parlane to name but a few. They also did some backing vocals on Joy Adams first album “Come home baby darling”. Barbara more recently did backing on Donna Saunders album. Nowadays “Twinset” enjoy the festivals and the friendship of the Country Music Community. 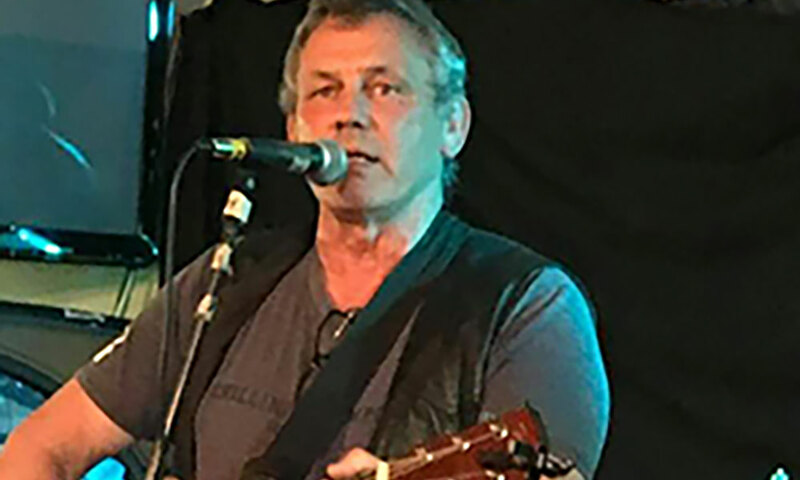 I was born in Paeroa, raised in Putaruru and Paengaroa, and have always worked and lived in rural areas, so that’s where my country roots come from, but I never picked up a guitar until I was 21. Most of my adult live was spent living and working in Raetihi where I first got hood winked into performing and since then I’ve been doing it on a regular basis. Lucky enough to have plenty of good mentors in the music world such as Gary Lucre, Wayne Tamati and Bruce Parr who encouraged me to get up and perform. Picked up all my bad habits strumming the guitar at parties hehe. Jocelyn parents bought her a guitar when she was 16, and this was the start of her music journey. In 1988 Jocelyn entered a local Talent quest, and to her surprise she won!! Entering the National Western Music Awards in 1989, she soon learnt to yodel and entered the yodelling section in 2007 earning third placing. Only three years later in 2010 she won the top gong and 1st place. Jocelyn has played in different Bands. Her 1st band was formed in 1989 called The Westerners, and then formed a band called The Mountain Ramblers in 1992. At present her band is called Mainstream. “My Late Husband and I were in the making of a CD when he passed away” says Jocelyn, and she was very fortunate to use Lennie’s Songs and yodelling songs to finish off CD with the help of steel Player Mr Joe Martin. Jocelyn has 3 children and 5 grandchildren. In 2014 Jocelyn met George Tuahine at a local Country Music Club. Since then they have entered awards together and done very well attending festivals as well as being Guest Artists around the North Island. George’s first guitar was a Tex Morton and he started strumming at only 5 years old. Music from that day was a great love and George started playing in Bands in Hawkes Bay in 1956, before joining the army in 1963. George continued his singing career having a band while in the army in Singapore , before coming home in 1970 to carry on as an Entertainer. Moving to Auckland in 1971 George has had 35 years entertaining and playing in bands winning many awards over the years. George is father to 3 children and 2 grandchildren.